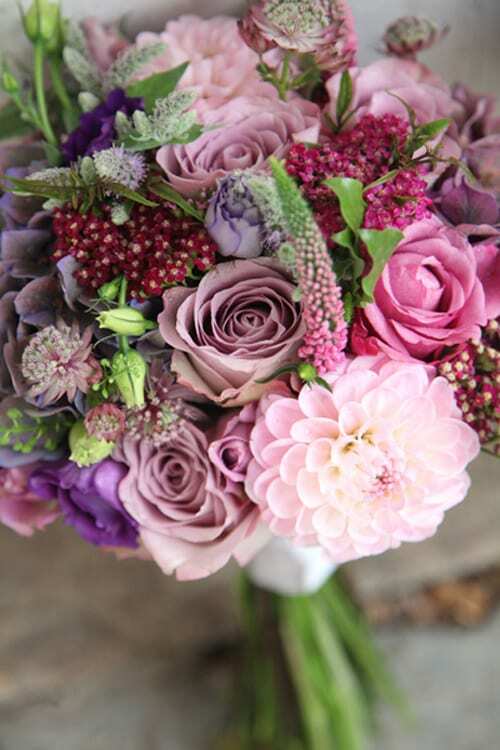 Today, I’m delighted to feature an interview with florist Jenny Stone of Jenny Rose Flowers. Having lived in the rural South Hams, I’ve grown up appreciating the natural beauty of flowers. After having my daughter, I started helping friends and family with their wedding flowers. I loved it so much that I decided to turn my hobby into a business. 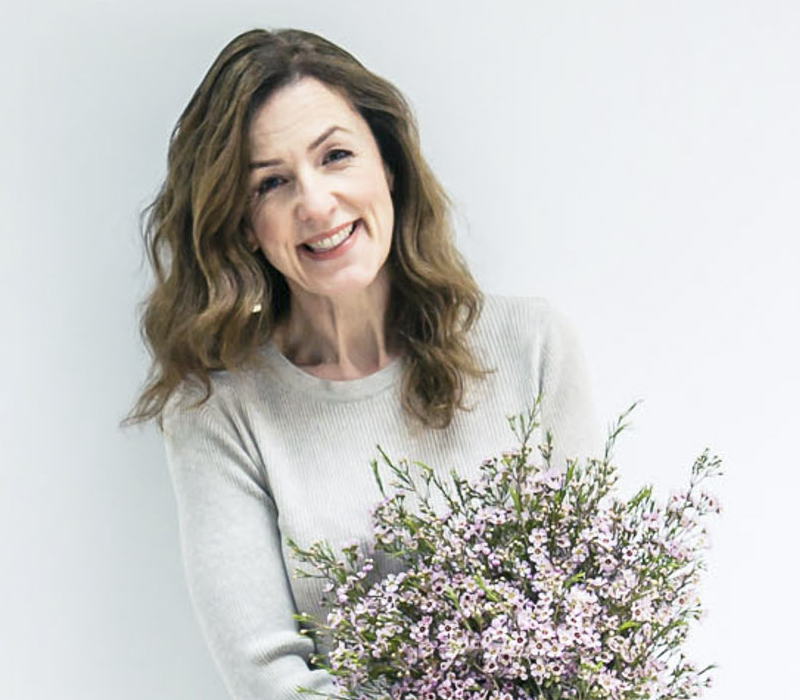 I’ve trained with some brilliant South West florists to develop my skills further, including Sabine Darrall who runs the G Lily flower school in Yarlington. Jenny Rose Flowers was started in 2012. Our first year in business was amazing! 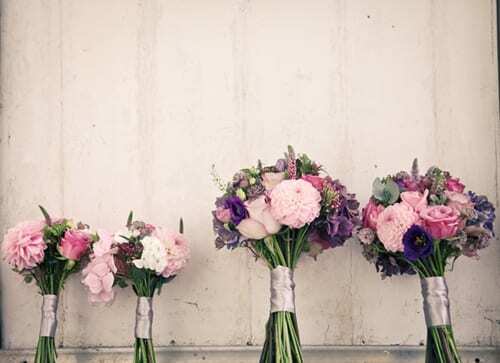 We’ve been lucky enough to provide flowers for some beautiful weddings and meet some great people within the wedding industry, who’ve been happy to share their experiences and tips! We’re based in a workshop on my family farm, near Ashburton in South Devon. 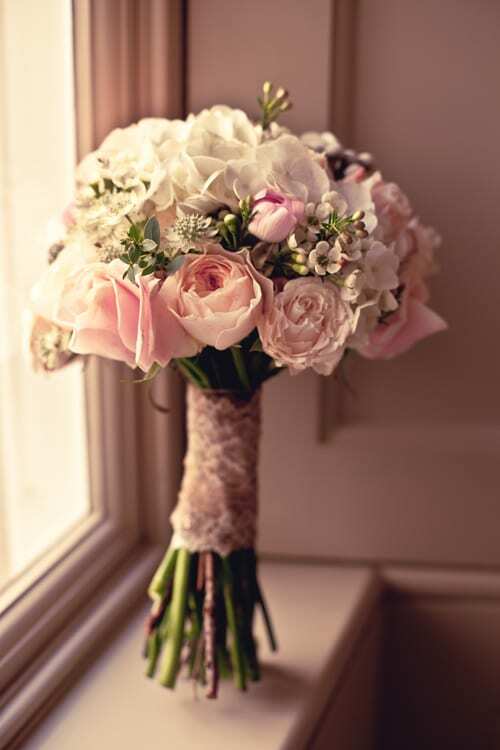 We offer a complete wedding service including bridal bouquets, buttonholes, ceremony and reception flowers. We’re happy to provide flowers for other special events too, such as launches and corporate events. 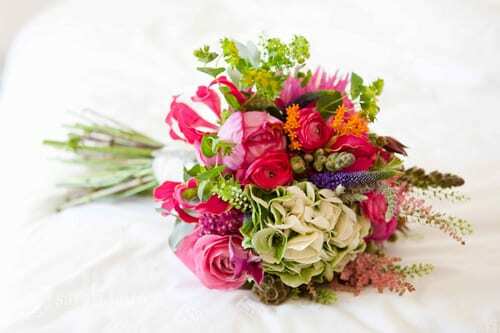 And we also offer seasonal bouquets for Mother’s Day and Valentine’s Day, as well as Christmas wreaths. 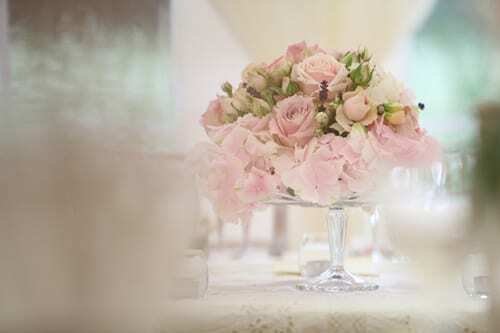 We worked on a number of weddings last year, with the country garden style proving to be extremely popular. 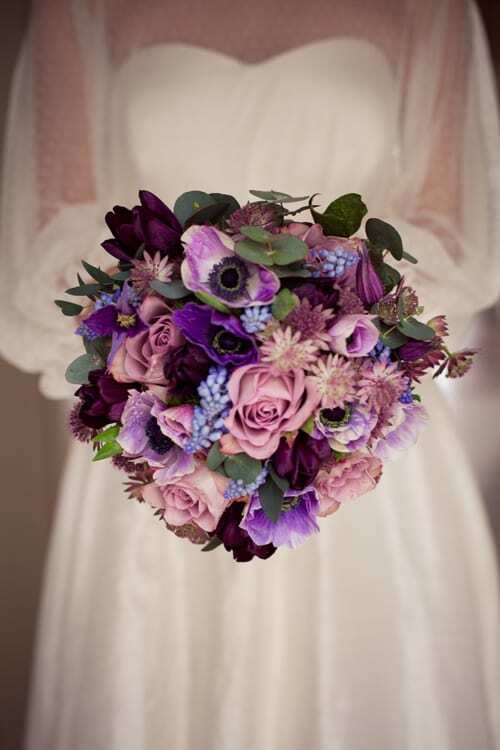 We’ve also been lucky enough to provide flowers for a ‘Buttonhole Inspiration‘ article and an ‘American Cherry Pie’ styled shoot for Wed magazine. We have a relaxed, natural, cottage garden style. Where possible we use seasonal flowers and local foliage. 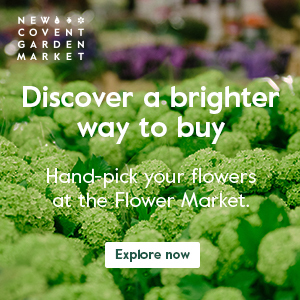 We’ve recently joined the nationwide network of British cut flower growers, Flowers from the Farm. And our aim for 2013 is to develop our small cutting garden with the aid of our new polytunnel!! 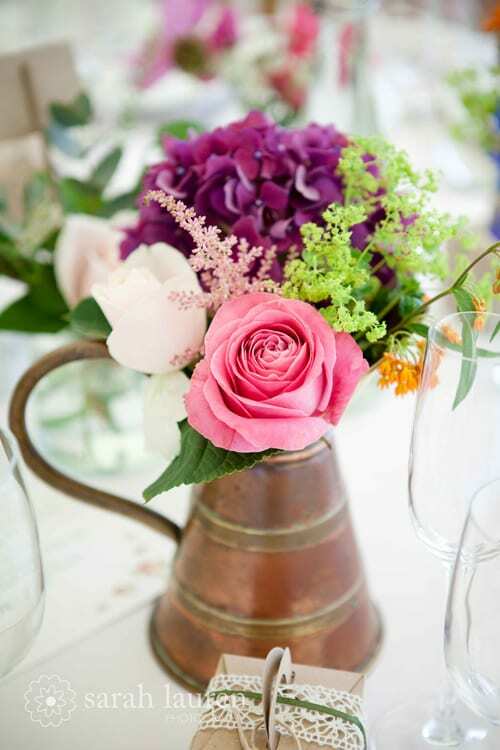 Living on a farm, we’re lucky enough to have plenty of space and we hope to be able to offer our brides a selection of our own fragrant cottage garden flowers and more unusual foliages and herbs to give their bouquets a really unique style. 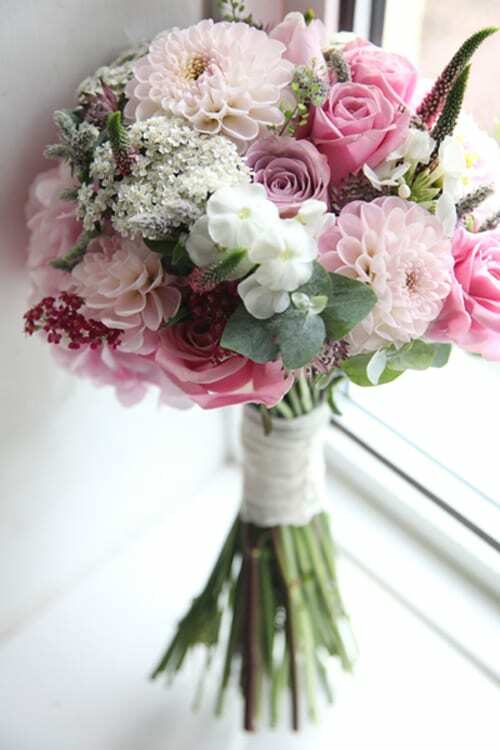 Peonies, ranunculus and anemones are definitely three of my favourites. I’ve also really grown to love dahlias recently, particularly the peach and coral varieties. 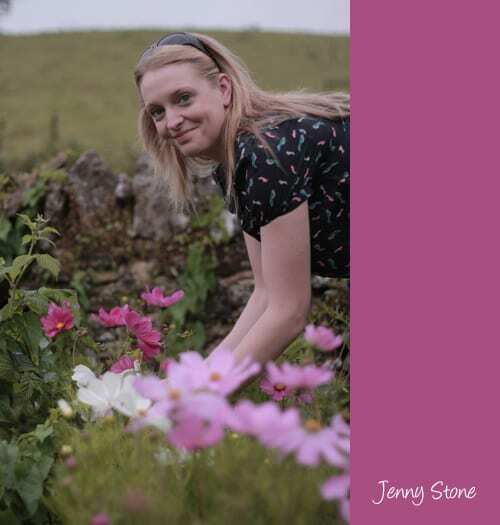 If you’d like to keep up-to-date with her Jenny’s news, she’s on Twitter and Facebook. So wonderful to see the success that Jenny has achieved, Well done!